Love, villainy, friendship, parent-child relationships, society, and customs – Shakespeare's Much Ado About Nothing touches on all of these themes. This teacher's guide presents strategies and activities to use in presenting the play to your students. Enter promo code TEACH for 15% off. Love, villainy, friendship, parent-child relationships, society and customs – Much Ado About Nothing touches on all of these. It presents a rich, ambiguous blend of life's relationships, folly, and catastrophe. Shakespeare introduces us to a group of people who have a past with each other that is immediately apparent as soon as Beatrice asks the messenger if all the soldiers are returned from the war. This is not a casual inquiry. Beatrice's question marks feelings that she does not yet comprehend. She and Benedick are attracted to each other but do not know how to deal with these feelings. The relationship of Beatrice and Benedick is counterpoised to the more traditional relationship of Hero and Claudio. Claudio, having returned from the war, now has the leisure and desire to marry Hero. He is concerned about her social (and economic) position and how others perceive her. He asks Benedick what he thinks. He also allows the Duke to intervene on his behalf, to approach the lady and her father with his suit. He is a proper if somewhat distant lover. Meanwhile Hero is cautioned by her father to obey his will when it comes to the choice of a husband. This is just the beginning of complications involving two sets of lovers, giving the audience and the readers a hint of the rich variety of human motives and relationships. Much Ado About Nothing is a play that will entertain and challenge high school and college students. They will enjoy the wonderful comic elements in the play – the "battle of the sexes" played by Beatrice and Benedick, the trick played on these two to turn them into lovers, and the farcical speeches of Dogberry and Verges. They may find mirrored in the play many of their own dilemmas about love, familial responsibility, and relationships. And they will have much to think about in weighing the actions of Claudio and Don Pedro and in analyzing the elements of tragedy, melodrama, comedy, and farce united in the play. Students will find in this play a rich source from which to draw in developing their abilities to read, analyze, discuss, and write. Much Ado About Nothing is a Shakespearean work accessible to modern students; it is a true classic and timeless in its appeal. 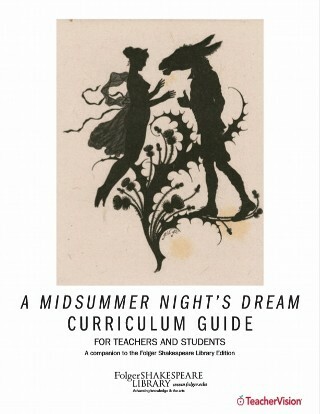 This teachers' guide presents strategies and activities to use in presenting the play to high school or college students. 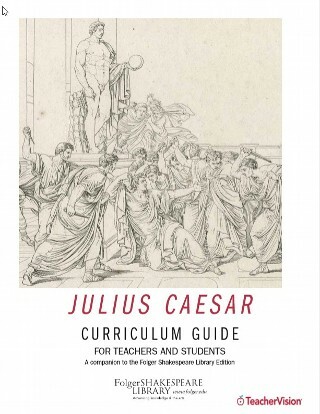 It consists of a detailed synopsis and suggested teaching activities for before students read, while they read, and after they read the play. More activities are listed in each section than can be used, therefore teachers should choose those that match their teaching style and the needs and interests of their students. Activities that are especially appropriate for advanced students are marked with a star (*). 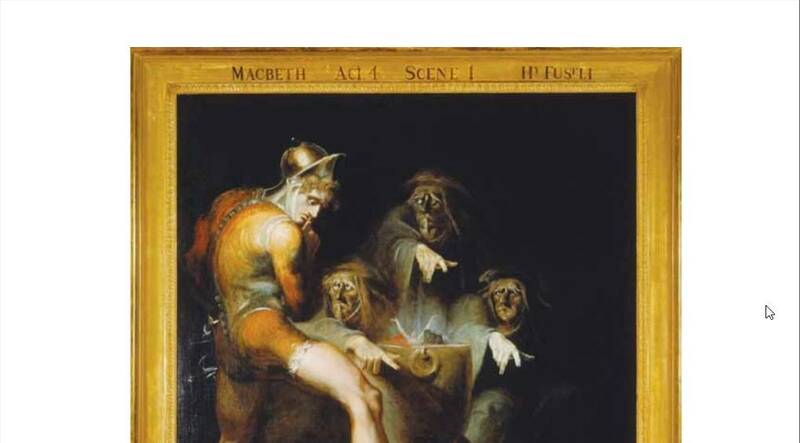 In addition a bibliography lists works related to themes and literary genre of the play. A messenger brings word to Leonato that Don Pedro of Aragon is passing through Messina on his return from a victorious battle. Beatrice asks if Benedick is part of the company and hides her interest with disparaging comments. Shortly the company of Don Pedro, Claudio, and Benedick arrives and Beatrice and Benedick trade witticisms, both professing that love is only for fools. Meanwhile Claudio, attracted by Hero's beauty, thinks he is in love. He asks Benedick what he thinks of the lady, but Benedick only rails against marriage and womankind. Don Pedro, however, supports Claudio's suit, telling him that he will speak to Hero and her father during the masked revels that evening. A complication arises immediately when Antonio reports to Leonato that he overheard the Prince telling Claudio that he is in love with Hero. Leonato says that he'll wait to see what will happen. Meanwhile Don John, Don Pedro's illegitimate brother, hides his malicious nature, waiting for the right moment to cause problems for his brother and Claudio, who he thinks has taken his place in his brother's affections. He hopes Claudio's desire to wed Hero will give him an occasion to cause some mischief. Leonato and his daughter and niece are ready for the revels to begin. While Beatrice complains that there is no man who can match her spirit, Hero obediently assents to her father's counsel to accept the Prince when he woos. All wear masks for the dance which leads to confusion and fun. Don Pedro talks to Hero privately while Benedick and Beatrice, behind their masks, exchange insults. Meanwhile, Don John pricks Claudio's jealousy saying that Pedro surely plans to wed Hero himself. Claudio thinks he has lost Hero. However, Pedro comes in to announce that he has completed the match between Hero and Claudio, and instantly Claudio's jealousy turns to joy. Now that the wedding is arranged, the Duke decides to find a husband for Beatrice who is as witty and fun-loving; he thinks the ideal match would be Benedick. Plans are made among the company to trick Beatrice and Benedick so that they will fall in love with one another. Don John and Borachio hatch a scheme to thwart Claudio's marriage plans by making Hero seem unchaste. Borachio will arrange to meet with Margaret at Hero's window in the middle of the night. Thereby, he will fool the Duke and Claudio into believing that Hero is having an affair. Benedick is in the garden lamenting how love has changed Claudio. He is no longer a simple, frank, natural soldier but a lover, concerned about fashion, manners, and poetry. Benedick reconfirms his resolve to have nothing to do with marriage. The woman he would surrender himself to must be fair, wise, and virtuous, and he hasn't met any woman like this. He hides in an arbor when Don Pedro, Claudio, and Leonato approach. Having seen him, they begin their scheme to get Benedick and Beatrice romantically involved. They announce, for Benedick's benefit, that Beatrice loves Benedick, but they express fear that Benedick will just make fun of the lady. Benedick is completely fooled by their trick, and when he sees Beatrice coming to call him in to dinner, he is enamored of her. Although Beatrice is sharp in her speech, Benedick now hears declarations of love where once he heard only her barbs. Hero arranges for Beatrice to overhear a conversation about Benedick's love sickness and desire for Beatrice. Beatrice listens while Hero and her waiting lady commiserate about how Beatrice would only make fun of Benedick if she knew. Beatrice is taken in and has a complete change of heart; she vows to love Benedick if he will have her. Don Pedro, Claudio, and Leonato tease Benedick saying he doesn't look like himself; he is pale and melancholy as well as clean and newly shaven. Finally when he can't stand their teasing anymore, Benedick asks to talk privately with Leonato. Don John joins Don Pedro and Claudio and accuses Hero of being unfaithful. He says he wants to save Claudio from a dishonorable marriage, and he will take them that night to Hero's bedroom window where they will see her with a man on the night before her wedding. Claudio swears that if she is with a man, he will shame her at their wedding before the whole congregation. The night watch assembles and gets muddled instructions from Dogberry and Verges to be alert for enemies of the prince. They overhear Borachio brag to Conrade about just earning a thousand ducats from Don John by fooling Claudio and Don Pedro into believing that Hero met with him at her window. He had met with Hero's maid Margaret. The watch officers step forward and arrest Borachio and Conrade for this treachery. Hero is nervously preparing for the wedding while Beatrice acts lovesick and melancholy. Margaret teases Beatrice, saying she may be in love, just like Benedick. The Constable Dogberry meets with Leonato to tell him the Watch has taken two prisoners during the night, and they need to be examined. However, Leonato is in a hurry to leave for the church with Hero and can't make sense out of Dogberry's and Verges' foolish speech. He orders them to conduct the examination. Everyone convenes at the church for the wedding of Hero and Claudio. When the friar asks if Claudio is here to marry this lady, he says no. He tells Leonato to take Hero back; she's a "rotten orange," "the sign and semblance of her honor." To the shocked questioning of Hero and Leonato, Claudio says that he knows Hero is unchaste and rejects her. Hero swoons while her father staggers beneath these accusations. Beatrice, Benedick, Leonato, and the friar try to understand what has happened. They begin to suspect that Don John is behind the accusations. The Friar suggests a strategy: let people think Hero has died. Remorse will begin to work on Claudio, and they will have time to find out what has happened. Left alone together Benedick confesses his love to Beatrice, who finally admits that she loves him also. As a sign of his love, Beatrice asks Benedick to take revenge for the wrong done to Hero. He pledges to challenge Claudio. The Constables convene the assembly to interrogate the prisoners, and after much confusion caused by Dogberry's fractured vocabulary, the Sexton accuses Borachio and Conrade of plotting against Hero. Leonato is full of anger at the slander against Hero and refuses to be comforted by his brother. When Don Pedro and Claudio appear, Leonato challenges him to a duel to regain the honor of his daughter. Antonio, Leonato's brother, joins in the challenge, but Claudio and Pedro refuse to fight. Benedick meets with Claudio and Pedro and challenges Claudio to a duel for the honor of Hero. He also tells Don Pedro that his brother has fled Messina and that they have falsely accused and killed an innocent lady. The constables find Don Pedro and Claudio and reveal the scheme of the villain Don John. Pedro and Claudio are shocked, and Claudio thinks of his first love of Hero. Leonato hears of the revelation, but when he comes before the company, he proclaims Pedro and Claudio the true villains. They are the ones who really caused the death of Hero by believing the accusations against her. When they beg for penance, Leonato charges them to announce Hero's innocence to the people. Also, Claudio must marry his niece the next day. Benedick meets with Beatrice to declare his love again and to tell her that he has challenged Claudio. Ursula, the lady's gentlewoman, comes in to tell them the news about Don John's scheme. At the family monument of Leonato, Claudio recites an epitaph to Hero and keeps vigil throughout the night. Leonato awaits Claudio whom he plans to wed to his daughter, Hero. Benedick asks the friar also to marry him and Beatrice. The women come forward masked. Claudio declares himself husband to the woman he stands beside, and Hero reveals herself. another, but their friends have proof, poems they have written declaring their love. They kiss and all are joined together in a dance to celebrate the marriages about to take place.